Union Minister for Food Processing Industries Smt Harsimrat Kaur Badal today inaugurated the first Mega Food Park in Gujarat. Promoted by M/s Gujarat Agro Infrastructure Mega Food Park Pvt. Ltd the Park is located at Village Shah and Vasravi, Taluka Mangrol, District Surat. 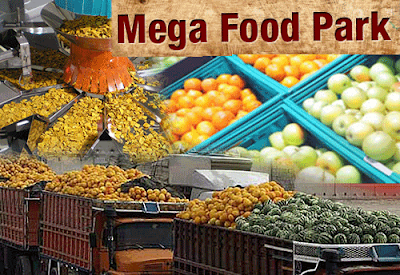 A 2nd Mega Food Park has been sanctioned by the Ministry in Mehsana District of Gujarat. The Gujarat Agro Mega Food Park will benefit the people of Surat District and the people of nearby Districts of Navsari, Tapi, Narmada & Bharuch. This Mega Food Park has been set up in 70.15 acre of land at a cost of Rs. 117.87 crore. The facilities being created by the developer at Central Processing Centre (CPC) of this Mega Food Park include Multi Chamber Cold Store of 3,500 MT (1,500 MT Frozen & 2,000 MT MA), Warehouse of 5,000 MT, IQF of 2 TPH, Pulping Line, QC Laboratory and other related food processing facilities. The Park also has a common administrative building for office and other uses by the entrepreneurs and 4 PPCs at Bharuch, Padra (Vadodara), Valsad and Navsari having facilities for primary processing and storage near the farms. Smt. Harsimrat Kaur Badal, inaugurated the Park today in the presence of Sadhvi Niranjan Jyoti, Minister of State for Food Processing Industries, Shri Vijay Rupani, Chief Minister of Gujarat, and Smt. Darshana Vikram Jardosh, Member of Parliament, Lok Sabha, Surat. Speaking on the occasion, Smt. Badal said that the Mega Food Park will leverage an additional investment of about Rs. 250 crores in 25-30 food processing units in the park and generate a turnover of about Rs. 450-500 crore annually. The Park will also provide direct and indirect employment to 5,000 persons and benefit about 25,000 farmers in the CPC and PPC catchment areas. The Minister also said that the modern infrastructure for food processing created at Park will benefit the farmers, growers, processors and consumers of Gujarat and adjoining areas immensely and prove to be a big boost to the growth of the food processing sector in the State of Gujarat. Smt. Badal also said that the present government is fully committed to providing an environment that is smooth, transparent and easy for investors wanting to start an enterprise in India and in a bid to make India a resilient food economy and the Food Factory of the World, the government has made Food Processing a major thrust area of ‘Make in India’. Smt. Harsimrat Kaur Badal thanked the Chief Minister and the State Government for the support extended by them in setting up the Mega Food Park. Ministry of Food Processing Industries is focussed on boosting the food processing industry in India so that agriculture sector grows exponentially and becomes a major contributor to doubling the farmers’ income and to contribute to ‘Make In India’ initiative of the government. Aimed at giving a major boost to the food processing sector by adding value and reducing food wastage at each stage of the supply chain with particular focus on perishables, Ministry of Food Processing Industries is implementing Mega Food Park Scheme in the country. 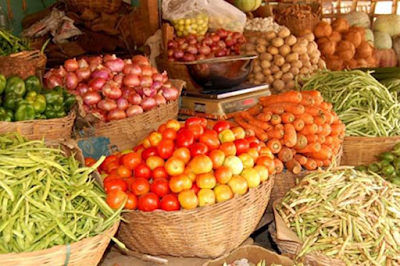 Mega Food Parks create modern infrastructure facilities for food processing along the value chain from farm to market with strong forward and backward linkages through a cluster based approach. Common facilities and enabling infrastructure is created at Central Processing Centre and facilities for primary processing and storage is created near the farm in the form of Primary Processing Centers (PPCs) and Collection Centers (CCs). Under the Scheme, Government of India provides financial assistance upto Rs. 50.00 Crore per Mega Food Park project.